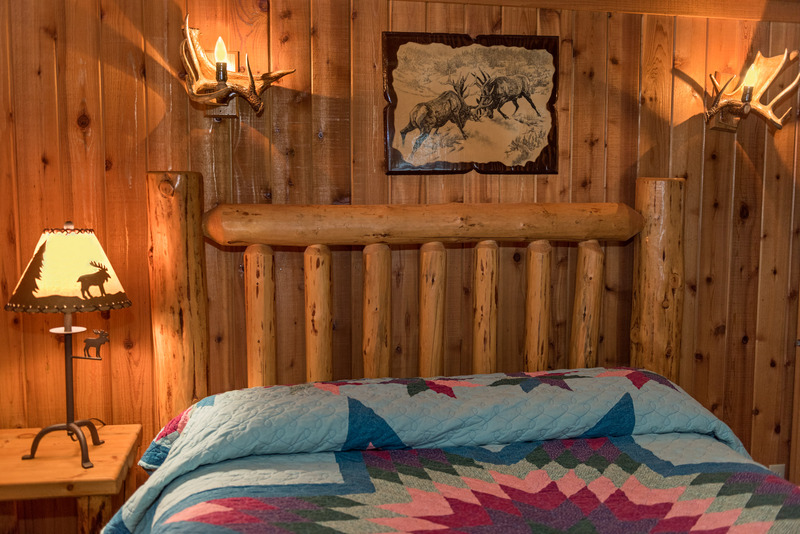 The Hunter Log Cabin offers the most seclusion of the four cabins at Western Pleasure Guest Ranch with its end of the road location. It is not unusual to watch a doe and fawn grazing outside of this cozy cabin. 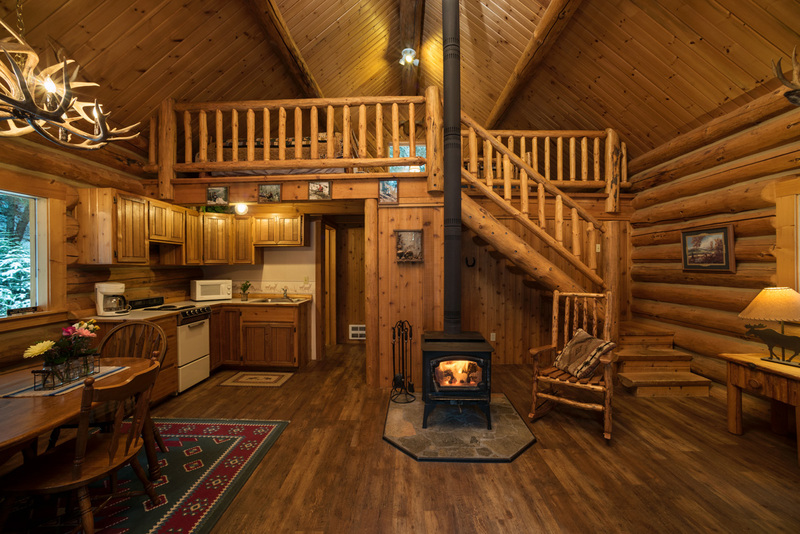 You may even catch a glimpse of a black bear or coyote in the woods surrounding the Hunter Log Cabin. 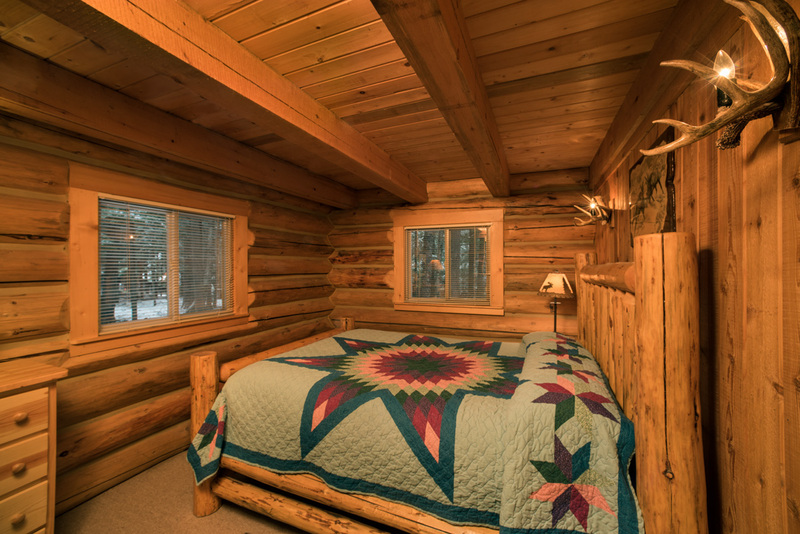 As the name of this cabin hints, you will experience a sportsman feeling when you enter the cabin. 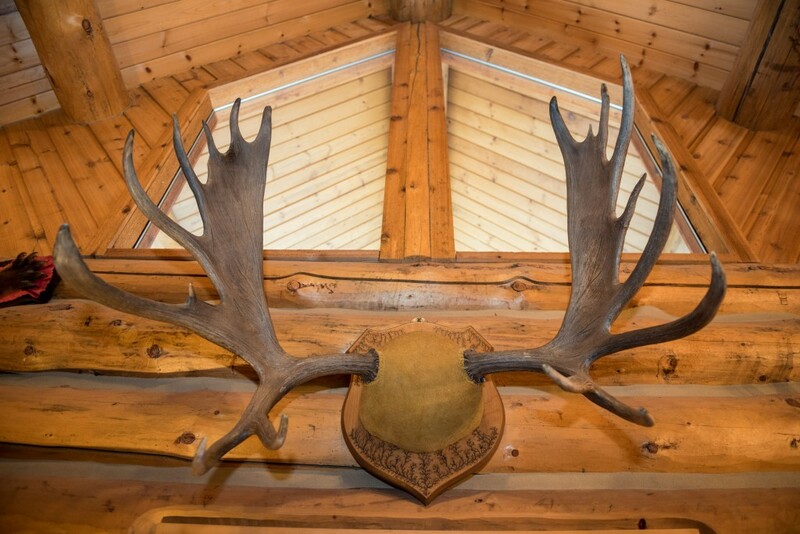 A deer antler chandelier and various animal mounts make this cabin a genuine North Idaho destination. 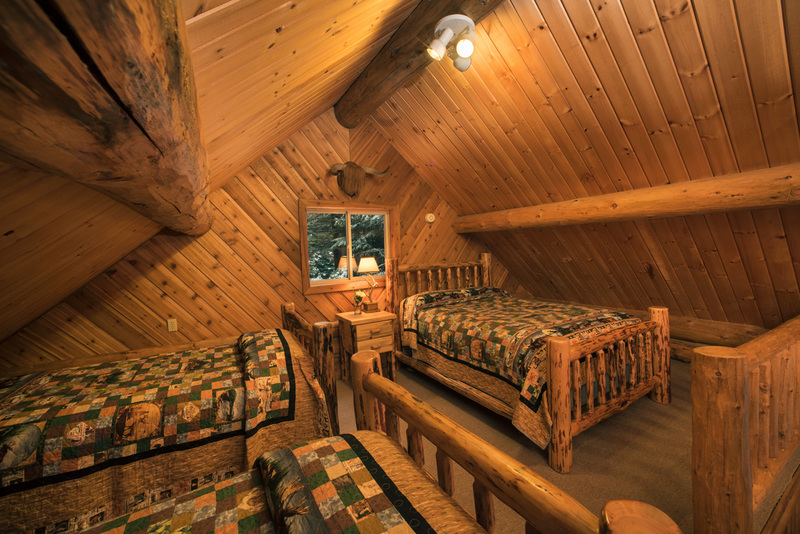 Sleeping arrangements include a private bedroom on the main floor with a queen sized bed. Upstairs is an open half loft with a queen sized bed and two twin beds. 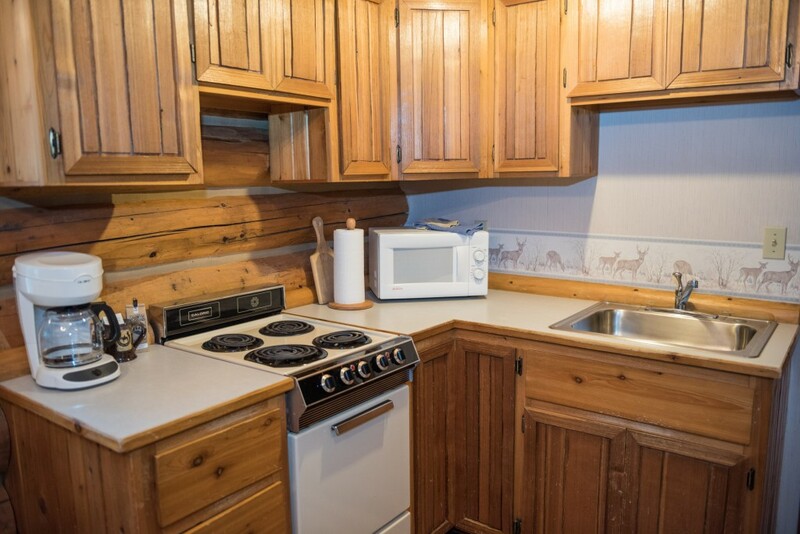 The cabin has a kitchenette with all the basics for light cooking, kitchen table, and living room area with a free standing wood stove.